New York is one of the most significant fashion capitals of the world, alongside Milan and Paris. 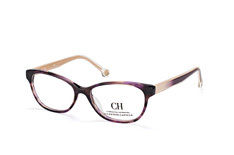 The American, Carolina Herrera, who is originally from Venezuela, is one of the designers who characterises the city's typical style: her designs are classical, elegant and equally extremely modern. 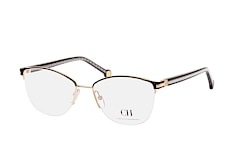 Her fashion, but also accessories such as the Carolina Herrera glasses are defined by a large pinch of South American carefreeness. 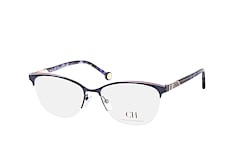 With this exciting mix, her designs represent the fashionable mirror image of the exciting city on the Hudson River. Carolina Herrera had already regularly spent time in New York in the 70s. Among other things, she made the acquaintance of Andy Warhol and other stars of the art and culture scene there. In 1980, she decides to move to the "Big Apple" for good - and about a year later she presents her first fashion collection. 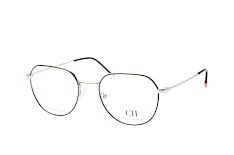 From then onwards, this Venezuelan lady was going places. 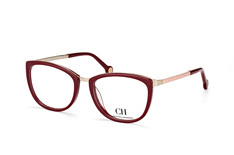 One decisive factor: numerous celebrities discover the label's fashion for themselves. 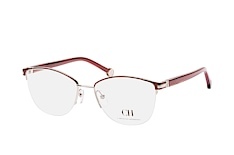 One of the designer's most famous customers in the 1980s was Jacqueline Kennedy Onassis. But the founder did not lean back and over time consistently further developed her style. In the meantime a new generation of celebrities like Kristen Stewart is wearing Carolina Herrera's creations - on the red carpet. For the women's glasses two design styles prevail. 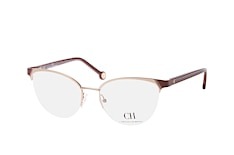 Both are as timeless as they are elegant and thus perfectly match the brand's philosophy: the square trapezoidal shape and the round panto design. 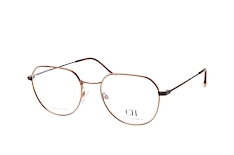 There are plenty of reasons why both are eternal classics in the world of eyewear: with their generously dimensioned lenses, they offer a comfortable and wide field of vision. 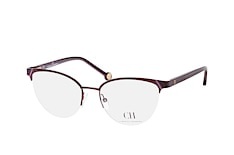 In addition, they are extremely versatile and suit many face shapes. The panto shape is ideal for more angular faces whilst the trapezoidal shape for round features. Carolina Herrera only carefully alters these timeless shapes. The various glasses therefore do not overshadow but rather compliment the face in a harmonious way. 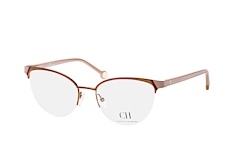 Don't be fooled by the fact that at first glance many of Carolina Herrera's glasses seem very similar in shape - in fact, the trick is exactly that: the subtle play with proportions. The small but subtle differences allow you to find the model that suits you perfectly. 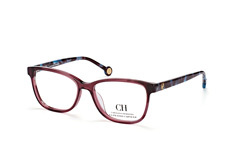 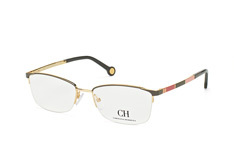 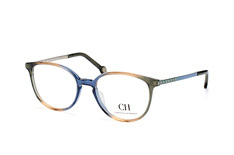 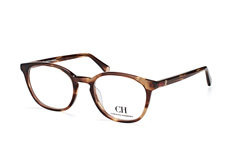 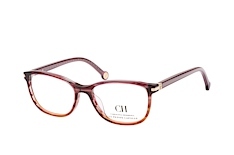 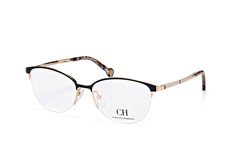 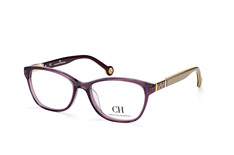 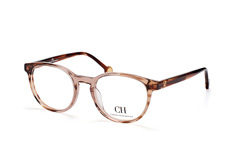 Carolina Herrera eyewear, like fashion, is characterised by a distinctive colour palette: neutral shades such as black, beige and brown meet strong colour highlights. 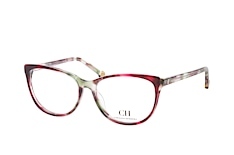 In addition to fiery red, there is bottle green, radiant sky blue, soft pink and bright orange. Here, the South American influences are unmistakable. 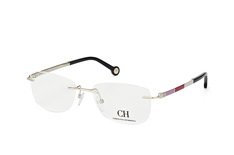 You are free to choose how courageous your choice of colour is. Carolina Herrera frames in a traditional horn design in brown are also available in variants in which the same hues meet. These Carolina Herrera glasses frames are an interesting option if you do not want to commit yourself to one single colour. 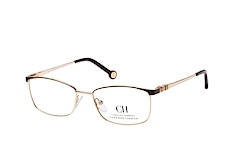 The icing on the cake are the high-quality details such as gold-plated hinges or delicate gold-coloured inserts in the temples. Nuances from rose gold to yellow gold and to red gold are used, which are coordinated with the overall composition. 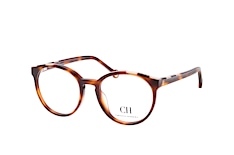 Surprise yourself with the extensive selection of Carolina Herrera glasses at Mister Spex. You can try on the individual models one after the other from the comfort of your own home - the advanced virtual fitting via webcam or photo makes this possible. The Carolina Herrera collection doesn't have the right pair of glasses for you? Discover more than 3,000 high-quality glasses in our range. 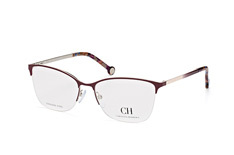 With the help of the intelligent search option, you can navigate quickly and conveniently through the entire collection. 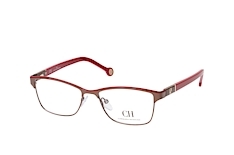 We are happy to send you a non-binding offer of up to four pairs of glasses for closer inspection. You can test these at home for ten days. There is no extra charge for quality glasses with an anti-reflective coating, etc., because these are included in the price of the frame. 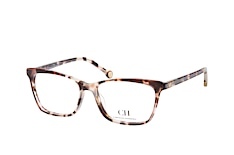 The result: you save up to 50 percent at Mister Spex. 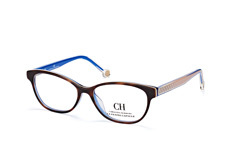 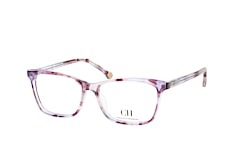 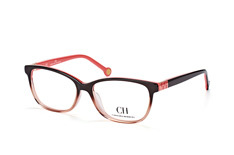 We post all Carolina Herrera glasses and other brands without additional shipping costs. 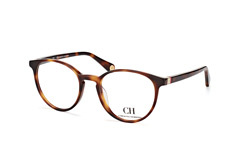 In addition, there is a simple 30-day returns policy. 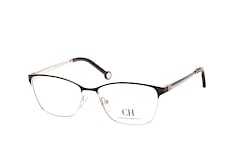 If the glasses do not meet your expectations, you will directly get your money back from us!